Passport processing is available in the City of Casa Grande Clerk’s office Monday through Friday, 8 a.m. – 4:30 p.m. Our in-office wait time is minimal. Completed passport applications are then mailed out by our office to the National Passport Center for processing with a turn around time of approximately 4-6 weeks. Expedited services are available for those traveling sooner. Adult passports are valid for 10 years, children (under 16) for five years. If you changed your name within one year of getting your passport, click here for a renewal form. Traveling to the Caribbean, Bermuda, Canada or Mexico? 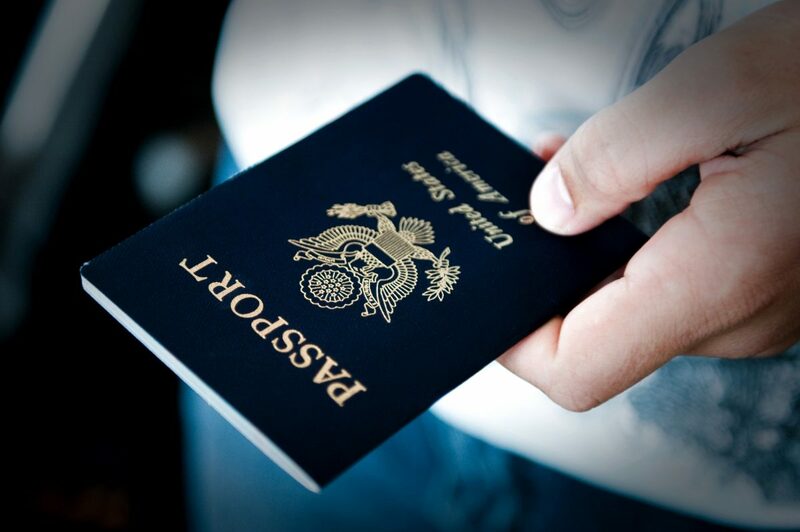 New Passport Requirements are in effect stop by for passport options. Complete application using BLACK ink only. DO NOT SIGN. An oath will be administered. Passport Photo *Remove eyeglasses for photo. Original Birth Certificate or Naturalization Certificate. Valid Driver’s License, State ID, or Military ID. Applicants Must Be Present, including Minors. Complete application using BLACK ink only. Sign and date. 1 Passport Photo *If you wear glasses, remove them for the photo. It is recommended that some form of traceable mail be used. Mailing address can be found on the application. Complete questions 1 – 22, but DO NOT SIGN the application. A Social Security number is required. A completed application helps us process your paperwork in a timely manner. One passport picture is necessary. The yellow pages have a listing of available places under “Passport.” A few of the companies that have been mentioned to us are Costco, Walgreen’s, Print and Pack, AlphaGraphics, Mailboxes More, Kinko’s, CVS Pharmacy, Target, MotoPhoto, Mailboxes Etc., Sears, A-1 Immigrant Services and Super Wal-Mart. A certified copy of the applicant’s birth certificate, a naturalization certificate or a previous passport are acceptable forms of citizenship and will be sent with the passport application for processing and return. Hospital birth records are not acceptable. If you are unable to provide one of these forms, please call our office at (520) 421-8600 ext. 1114 for more information. ALL MINOR CHILDREN MUST BE PRESENT. Children 15 years or younger are not required to sign the application but must appear with both parents, legal guardian or persons in loco parentis and bring the child’s certified birth certificate and previous passport if applicable. To read the State Department’s notice regarding minor children, click here. All applications for children under 15 require both parents’ or legal guardians’ consent. Persons 16 years and older MUST APPEAR IN PERSON to sign the application. For security reasons, parental consent may be requested and if applicable, provide a Driver’s License (not a permit) or the parents must provide their identification. If your child does not have identification of his/her own, you need to accompany your child, present identification and co-sign the application. A valid driver’s license (not a permit), government issued ID, or previous passport is the most commonly presented form of identification. If you have questions regarding the documentation or are unable to submit the proper documentation, please call our office at (520) 421-8600 ext. 1114 for verification or options.